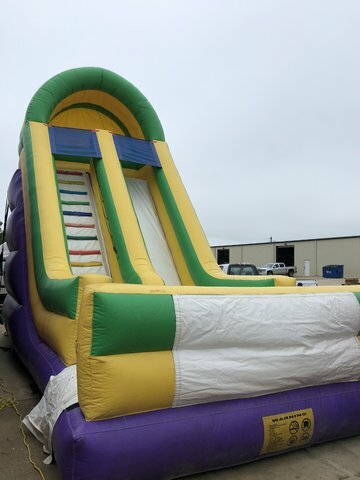 The Super Slide is sure to give your next party a super time! This 24 foot dry slide will surely get the adrenaline pumping. Participants climb the side of the slide by using the steps and assistance of the rope on the wall if needed. They will then get to the top of the slide and proceed to speed down feet first. If you just want to go fast, call and let's get you the Super Slide today!